Throughout his career, Clabots has designed products across multiple industries, ranging from highly-engineered, injection-molded products to furniture and textiles. His design methods are neither industry- nor style-specific; instead, he uses design to find solutions that bring value to both his clients and their customers. Formally trained as an industrial designer at the Rhode Island school of Design (RISD), Clabots' first entry point into the creative industry was as Lead Designer at Dror. There, he led the product design and interior design departments. In this role, Clabots developed a wide range of products, including a trivet for Alessi, a bathroom cabinet for Boffi, a chair for Cappellini, and a full range of affordable furniture and bedding for Target. He also led the team in designing a luggage collection for Tumi, which received multiple patents for a mechanism that Clabots conceived for their zipper-less, expandable, hard suitcase. At Dror, Clabots has also led the design of commercial interiors for companies such as Levi's Footwear and Creative Recreation. His work at Dror won the Red Dot Award, the Good Design Award, and was selected for the Metropolitan Museum of Art Permanent Collection. At Nonlinear Studio, which Clabots founded in 2010 and ran for three years, he designed a full anodized aluminum cookware set for All-Clad, a watch that sold at the MoMA Design Store, and an iPad periphery device. As Design Director at Fab.com, starting in 2013, Clabots designed full lines of furniture and soft goods, along with a sofa collection. Most recently, Clabots designed a shelving system and rugs for Hem, and various products for the startup he co-founded, OTHR. Derived from primitive geometry, the Oculus sundial is a modern take on an old typology. Its design details are only possible to create through 3D printing, and the angle of the Gnomon is precisely customized to be accurate at a specific point in the world, in this case New York. The Oculus is 3D printed in bronze. 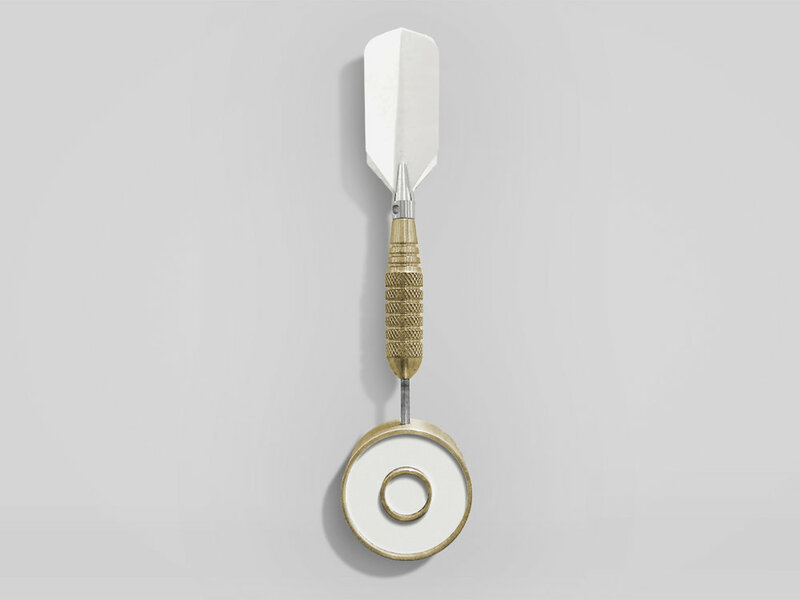 This minimal dartboard challenges one to 'go big or go home.' Clabots developed it for Frog Design's invitational exhibit for New York Design week. 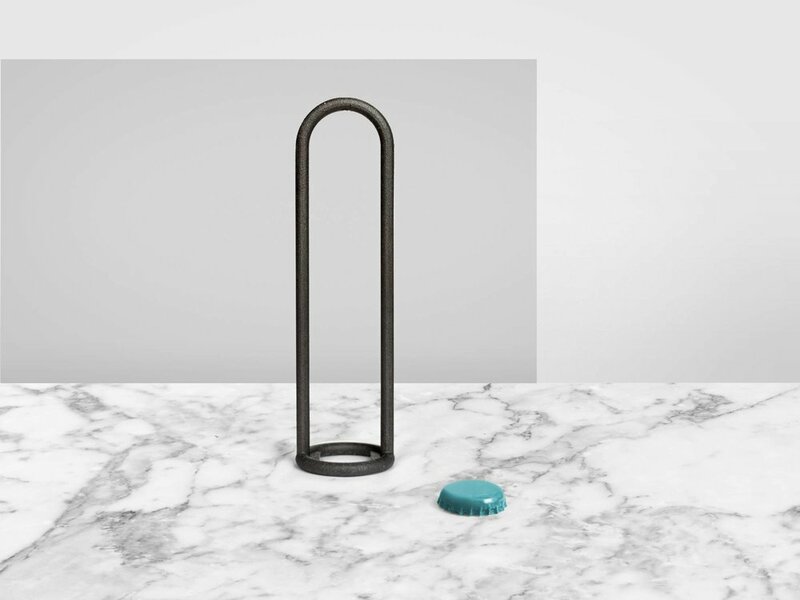 The Pal Bottle Opener stands tall with a form that looks more like a piece of decor than a functional object. But make no mistake; like any good friend, it is there for you in a pinch, opening a bottle with the perfect amount of leverage without even denting the cap. Pal is made from 3D printed steel, allowing for beautifully precise connections in a minimal form. This droplet-shaped planter is crafted in 3D printed porcelain, with the option of a 3D printed gold steel or bronze hook. Clabots was intrigued by the idea of combining two materials into a singular form using the 3D printing process. The planter’s duality makes use of each material’s inherent properties: polished metal for an ultra-precise bracket and porcelain for a smooth, voluminous container. This strikingly-detailed rectangular wall hook is crafted in 3D printed bronze steel. Clabots wanted to use concave objects to highlight and display the beauty of 3D printing. Similar to the grain in wood, the 3D printing process creates natural grains. Clabots’ design accentuates this natural fingerprint throughout the face of the hook, allowing the piece to act as art whether or not it is in use. The Basket Weave rug was an intricately-woven mixture of wool and cotton, available in five colors. When designing this rug, Clabots wanted to create a minimalist piece in a single color, where the interest lay in the texture rather than the graphic. The Bias shelves comprised a set of four that could be arranged in endless configurations of regular and irregular patterns. Clabots’ design was reminiscent of industrial crates, but his modern slant created new visual interest as you mixed and matched them. These shelves were designed to nest into one another for easy shipping, and the four-way keyhole hangers enabled the shelf to hang in any orientation. The Bliss rug featured a slate background offset by contrasting cording. Clabots designed the rug as a textural piece, with oversized loops to generate a feeling of depth and texture. The muted tone allowed the piece to work in any space, while the subtle hints of color complemented your room's palette. Clip was a configurable sofa system, consisting of 5 modular parts that could be rearranged in hundreds of variations. The bent plywood back-support easily clipped in and out of position, and could be used for various functions, such as a tray for resting your drink. The same mechanism used for locking the back support in place also connected the base units to lock configurations in place. Clabots designed the Cup Sofa to have its own personality, while also transforming and adapting to different settings. Its sculptural profile was combined with clean and graphic lines. This created a key silhouette that could range from playful to refined, depending on the sofa color (6 options) and the style of the sofa’s leg (2 options). This sofa family was born from the business pain-point of SKU management. Clabots conducted extensive market research while designing this sofa, and he determined that most customers wanted one of three sofa sizes and a chair. Using this knowledge, Clabots designed a set of sofas with back cushions that could be configured to look minimal or mid-century, and two sets of legs from which to choose. Rooted in the easy minimalism of classic Scandinavian design, Clabots designed the Gather Table to have four identical L-shaped legs that link together to create the base and support for the tabletop. Clabots wanted the assembly to be an exercise in simplicity. He paired it with a set of chairs that fit perfectly against the table’s curved edge to create a seamless and streamlined silhouette. The Gather Chair was rooted in the easy minimalism of classic Scandinavian design. Clabots designed the chair to complement the Gather Table, with the chair’s wide back and generous curves mimicking the table’s circular shape. When pulled up against the table’s edge, it made for a seamless fit and streamlined silhouette. The Duple Lamp was a compact, sculptural wooden lamp that was equally charming when sitting on a desk or mounted on the wall. Like the rest of Fab's Nordic collection, Clabots designed it for easy assembly. Clabots designed the Signal lamp to be an adjustable-height pendant or a sculptural table lamp. The cord entered through the top of the handle and exited on the side next to a metal bracket, around which the cord could be wound to shorten its length. The Fetch Lamp was the perfect combination of design and utility. An elegant accent, Clabots designed it to also serve as a neat storage space for small knickknacks. The unique, inverted shape of the lamp’s base turned commonly-held design conventions on their heads while adding a touch of elegance. This beanbag chair was designed to be more than just a staple in a kid’s playroom; Clabots approached this design as he would any other chair. It boasted an upright, ergonomic silhouette that was chic enough for a living room while retaining the sink-into-it quality that makes bean bags so popular. It also could connect with two others for a full sofa. Inspired by classic Scandinavian design, Clabots designed the Venture Desk with the lightest of decorative elements. His design allowed for assembly with the minimum hardware, and the structural components of the desk added a graphic element. This created the optical illusion of the diagonal third leg piercing through the surface. Clabots collaborated with PJ Matan and Kiel Mead to design the Fab Pop-up Store in SOHO for the debut of their #happymodern collection in May of 2014. The Slip Watch was the first product that Clabots released through Nonlinear Studio. The skewed posture of the watch put a new “spin” on the classic archetypal watch shape. The piece was intentionally minimal, with proportions that were almost predictable. However, its skewed posture made the watch appear to be slipping off the band, like a moment caught in time. The shape also offered increased ergonomic functionality, as the wearer could view the timepiece with less turning of the arm. The band also penetrated the casing at the 9 and 12 hour markings, giving reference to an otherwise unmarked face. All-Clad sought to reach a younger demographic of cooks with their B3 anodized aluminum line of cookware. For the launch, they enlisted Clabots to design cookware that would meet the visual and ergonomic needs of their more design-savvy audience while maintaining an important balance with their iconic brand language. Clabots designed the Amplifiear to correct a design flaw in the iPad 2, in which the speaker faced away from the user rather than toward. The attachment also gave a considerable boost to higher frequencies, increasing the crispness and clarity of the sound as well as the volume. Clabots used Kickstarter to crowdfund the project and received 456% of the funding goal. Clabots designed all the packaging for Amplifiear. The packaging was designed to be 100% recyclable, like the product, itself. The card stock of the packaging the was responsibly farmed from renewable forests, and the packaging was approved by both the Apple Store and Best Buy as meeting their stick-packaging standards. In 2010, Clabots designed and built the Amplifiear eCommerce platform. Clabots art directed all photography and coded a custom theme for the site in CSS. Inspiration for this chair came from the common use of a wheelbarrow as a lounge seat during break time on a worksite. Clabots considered this functionality, and he selectively adapted the form of a traditional wheelbarrow to highlight its most dynamic lines. The structure brought a new purpose and character to a timeless and familiar object. Clabots designed this piece for an American Design Club’s Gallery Show, entitled THREAT: Objects of Defense and Protection. Designers were asked the question, “when you hear something go bump in the night, what do you grab?” Clabots instinctively conjured a bat, a classic defense weapon. Improving on an already near-perfect design, Clabots added the concept of a heavy-duty flash light, which allowed one to spot an intruder prior to taking action. The defining beauty in people is often the characteristic that doesn’t fit the standard mold. The Slightly Awkward Desk Lamp was simple and minimal, but with a peculiar posture. The awkward stance of the lamp, with its truncated fourth leg, gave it life and personality while allowing it to balance as an ambient table lamp or a directional task lamp. This ready-to-assemble coffee table employed four wood clamps as the table’s principal fasteners. The product was constructed out of pickled oak and steel clamps with a 1/2″ tempered glass top. The Clamp Desk lamp was an adjustable task light that fixed to a table with an industrial wood clamp. The form of the clamp was extended through a 4" bend to support the shade. Entrepreneur Fatima Fazal approached Clabots with a new concept of heart-shaped utensils. Clabots helped her to translate her concept into a form made of biodegradable plastic that could be injection-molded for mass production. The resulting products have been sold in the MoMa store and Collette, and have been featured by Martha Stewart. Rockwell Group commissioned Clabots to develop a series of original “vintage” surf posters, which would be placed in the new rooms at the Andez Maui at Waile. The posters represented various traditional surf-poster styles, but with an edge that brought an eclectic feel to the modern room. In 2010, Clabots opened the boutique creative studio, Nonlinear Studio. Clabots designed the logo and branding for the studio. 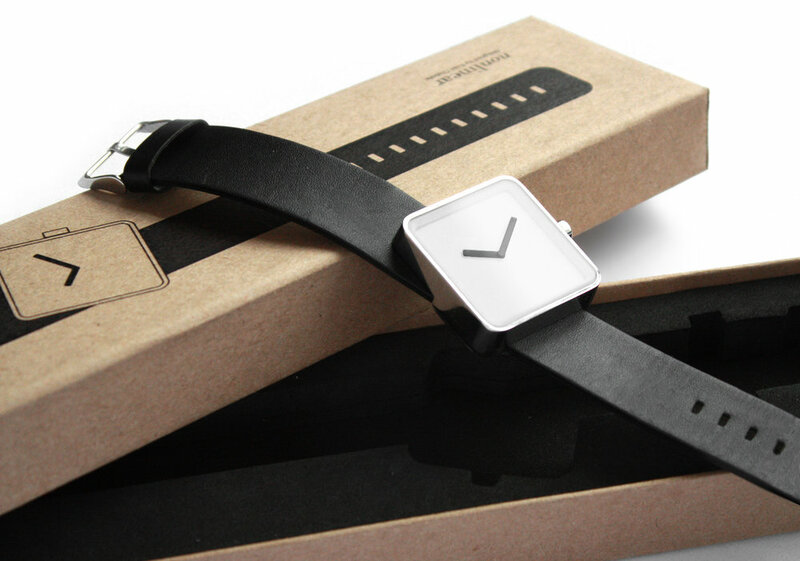 Clabots designed and built Nonlinear’s eCommerce platform for its self titled watch brand Nonlinear. For this, Clabots art directed all photography and coded a custom theme for the site in CSS. Now a permanent piece in the Metropolitan Museum of Art, the Peacock Chair resembles the physical aspects of a peacock and extracts metaphorical substance from its feathers. Clabots designed this chair to have structure and strength from the peacock-like folds, creating a comfortable lounge chair with no sewing or upholstery involved. The Dror for Tumi Collection featured luggage that transformed to meet the modern business traveler’s ever-changing needs. The 11-piece collection included the first ever expandable hard-case carry-on for Tumi. Clabots’ revolutionary “living hinge” feature allowed one to adjust the bag’s depth and nearly double its overall capacity. Clabots designed the Stack Bookcase for Target as a set of nesting trapezoidal boxes. Clabots found that Target’s customers needed a full-height bookcase that fit easily into a shopping cart and assembled in seconds with no tools. Clabots therefore designed the bookcase as a set of 4 boxes that stack vertically to form a single unit. Clabots developed the Spin clock to rotate closed for compact shipping. Spinning the front cross pulled the others around and fanned the clock out into perfect alignment. The Tilt Lamp transformed from a straight, stick lamp to an angled task lamp. Clabots developed the unique mechanism using the geometry of a tackle box. By developing a new mechanism based on simple mechanics, it was possible to offer the adjustable lamp at a low retail price. +/- was a mirrored, bathroom storage cabinet with a unique opening system; when closed, it lay horizontal and could be used as a standard, over-the-sink mirror. The mirror then rotated vertical to open, which allowed for complete access to the objects inside the cabinet and use by people of all heights. Award: Good Design Award 2008. This unusual piece displaced the chandelier from the ceiling to the floor. Clear strands wove together 6,400 Swarovski crystals in a grid pattern. When the frame opened, the grid transformed into two sweeping parabolas. The frame was later patented and branded as ‘QuaDror,’ a self-locking hinge system with no fasteners that Dror used in multiple products and concepts. In the floor chandelier, four incandescent strips were placed on the inner walls of the frame, which created a dramatic ambiance as the light glimmered through the curved web of crystals. The Lean folding sofa simplified the process of converting a sofa to a bed. It used a carefully-crafted series of pivot points that allowed gravity to do most of the work. The Try It Trivet for Alessi was a reinterpretation of the humble exemplar, creating a conceptually novel and pleasurable item. The trivet was comprised of three arcs, each of which could be considered a trivet in and of itself. When assembled together, they created a stable support for multiple uses. Award: Good Design Award 2010. Clabots wanted to distill a shoe down to its essence. For this concept shoe, he observed that most people would step on the back heel of the shoes to remove them. Therefore, Clabots designed a minimal form where the iconic side striping also functioned as a flexible fastener. This allowed the heel to flip down for easy exit and stay in the open position until its wearer latched it shut once more by sliding his foot in. The Levi’s Showroom centered around the main shoe display. Inspired by bridge construction, Clabot’s design translated the iconic trademark of Levi’s into a three-dimensional sculpture that morphed up from the floorboards. Below the suspended boards, a bed of rivets from Levi’s jeans was revealed. The showroom space was finished to have a weathered authentic feel, which contrasted the clean and starkly minimal office space in which it was set. For this showroom, the objective was to reflect the essence of the Creative Recreation sneaker within the design of the interior space. The decor was split, contrasting a fresh, clean, minimal aesthetic against a weathered, raw, and rugged side. The reimagined school desk rethought how we sit for long periods of time. The lower back support provided lumbar support when sitting upright, or it offered an elbow rest for leaning back. Storage for a bag was located under the writing surface. Clabots developed this while studying abroad in Finland, utilizing the advanced technical knowledge of the country’s wood-bending industry to mold this piece as one bent lamination form. Clabots designed this concept-stapler for Swingline. Conventional upright staplers tend to be top-heavy and topple easily. The Always Upright Stapler solved this dilemma. When struck by the clutter on your desk, it simply wobbled and rolled around on its base with a playful movement. This concept lamp by Clabots won a design competition for Ikea at the University of Art and Design in Helsinki, and was selected for production. It combined a hanging planter and a light. The branches and leaves of the plant hung over the shade, and the shadows created by the leaves gave the light an organic element - something artificial light typically lacks. Because of its dual use, the lamp was invisible beneath the foliage when not in use.